When you have “phantom flushes” in your toilet, you need to adjust the fill valve float mechanism. The fill valve allows water into the tank until the float reaches a certain height. When the float reaches that height, the float mechanism shuts off the water supply at the fill valve. 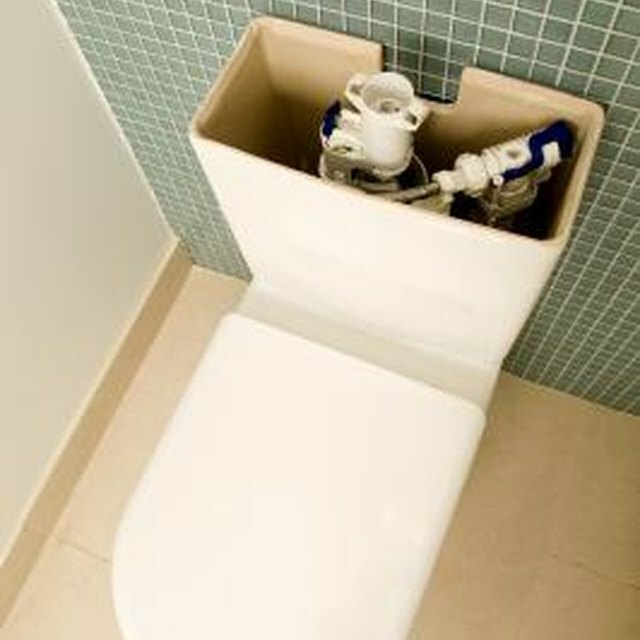 You can make small adjustments to the fill valve to correct those mysterious flushes. Pinch the clip that connects to the wire that runs the length of the fill valve with your fingers and hold the clip. Move the float up or down the fill valve in small increments to adjust the water level. Release the clip and test the fill level. Continue making adjustments to the fill valve as necessary. Locate the adjustment screw where the float ball arm connects to the top of the fill valve. Turn the screw in small increments to raise or lower the fill level, using a Phillips-head screwdriver. Grab the float arm between the fill valve and the float ball with both hands if you cannot adjust the screw. Bend the arm up or down as necessary to adjust.